Deliciously Said | Discovering cooking, baking & life one delicious bite at a time! Preheat the oven. Grease & lightly flour two 7 1/2 x 3 1/2 x 2 inch loaf pans. 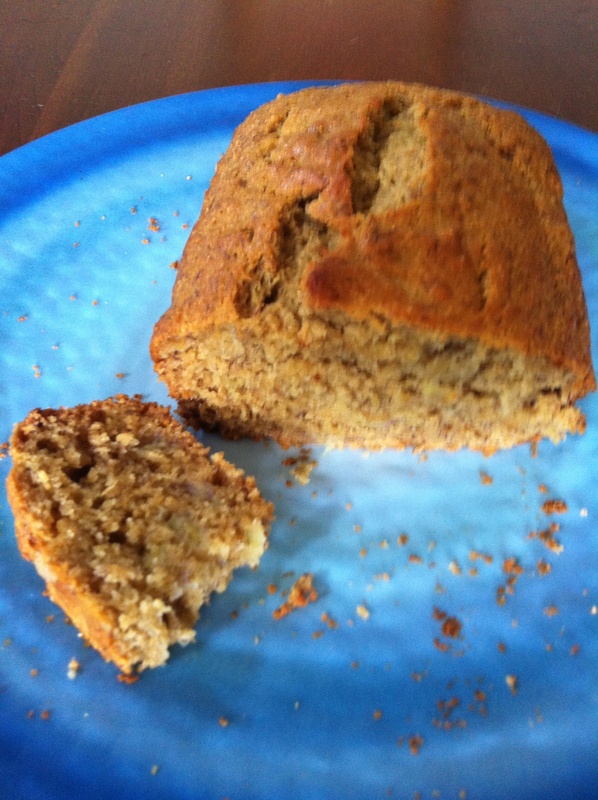 In a bowl combine the flour, baking powder, baking soda, cinnamon, salt and set aside. In another bowl mix the beaten eggs, mashed bananas, honey, vanilla and oil. Combine the two and stir until moistened and lumpy. This is the time to fold in the nuts – I don’t because I am the only one in the house that likes them in bread :-(. 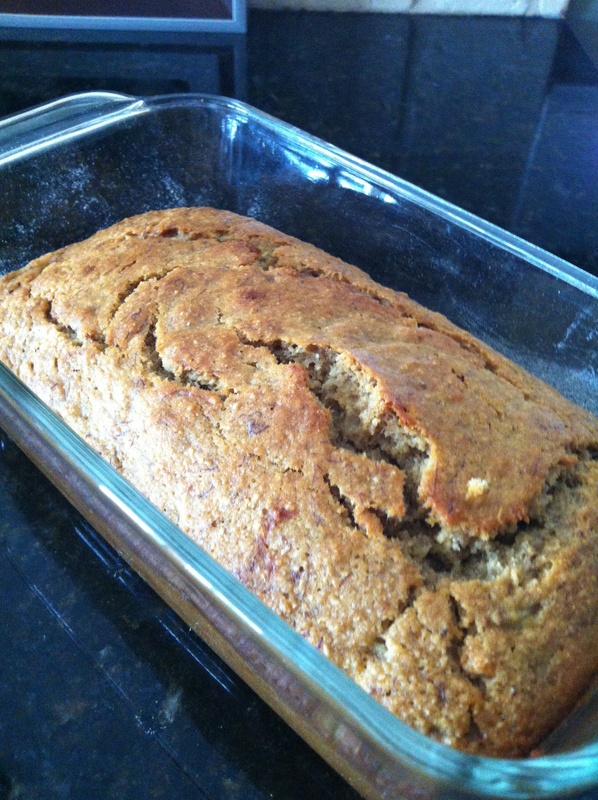 Bake until you can insert a toothpick and it comes out clean – about 50 minutes. Once it is cooled I like to refrigerate mine. And it taste soooooooo verrrrrry goooooood!!! Let me know if you try it. Or if you have a better recipe, I would love to try yours! 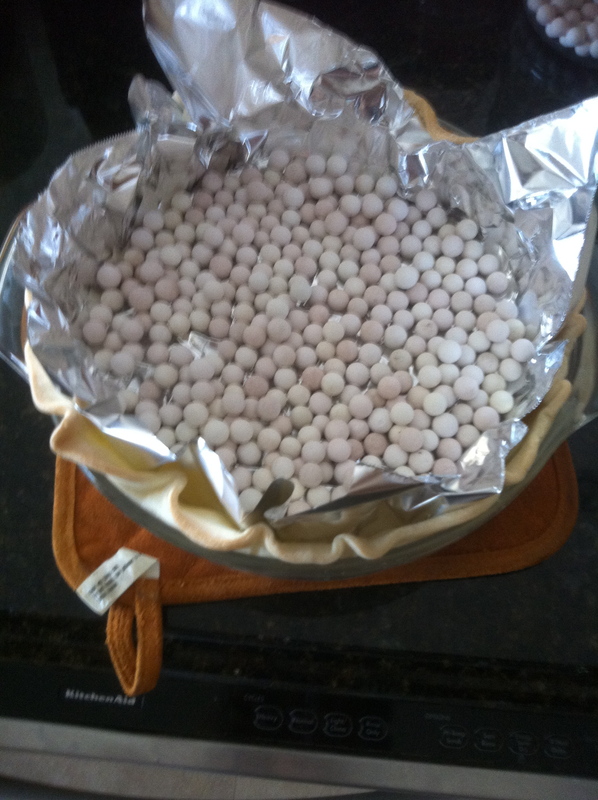 In a pie dish lay out the bottom sheet of pie crust, put aluminum foil in it and line with dry beans or pie beads to keep the bottom crust from rising. Place in a heated oven for a few minutes until it starts to turn light brown (do not leave in too long because it is going in the oven again once you fill it). In a deep pan over medium heat melt butter & cook onion until translucent. Stir in flour & cook until smooth (using a small whisk works well). Add salt, pepper, garlic powder, heavy cream & chicken broth. Stir until combined. 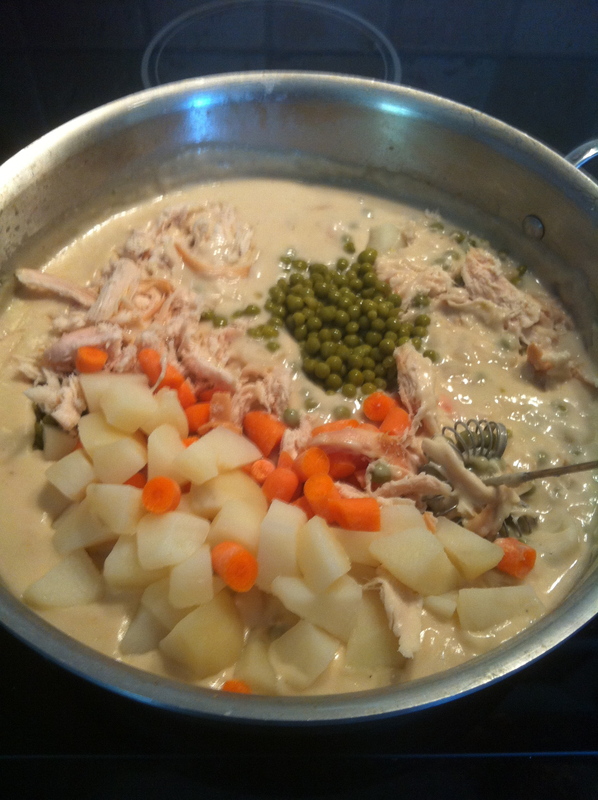 Then add peas, cooked potato, carrots & chicken. 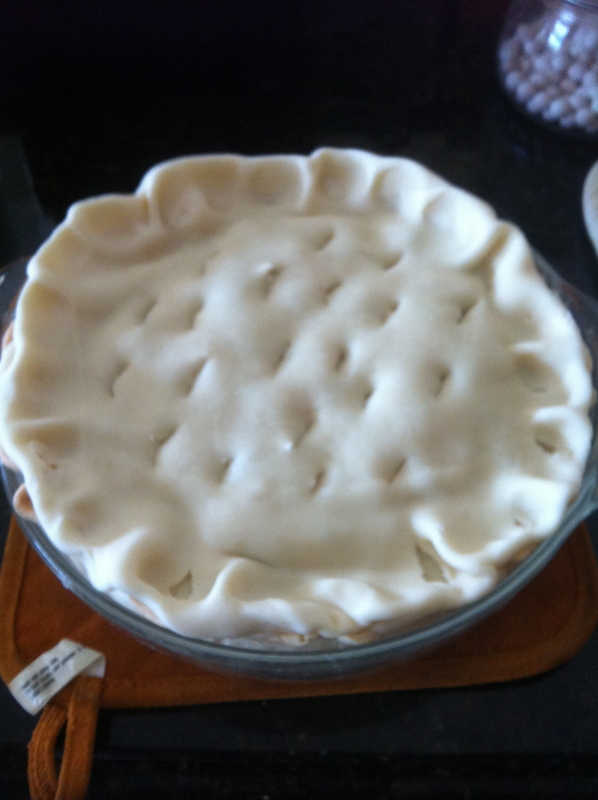 Pour this mixture into the pie crust & cover with the second pie crust. Cut slits into the top of the crust to allow for vapor. Baste the top of the pie crust with egg so that it gets a nice brown color while cooking. Cook in your oven’s top shelf for about 35 minutes. **Tip: Cover a cookie sheet with foil and place on the oven’s second shelf to catch any drippings – makes it easier for clean up. 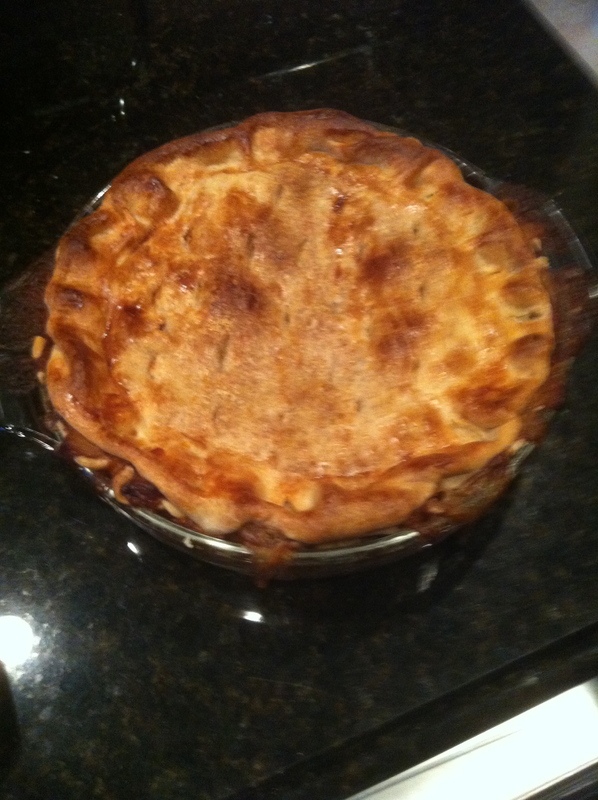 This pie is a hit at our house. Hope you try it. Enjoy! Stir the mixture until the soap is melted. 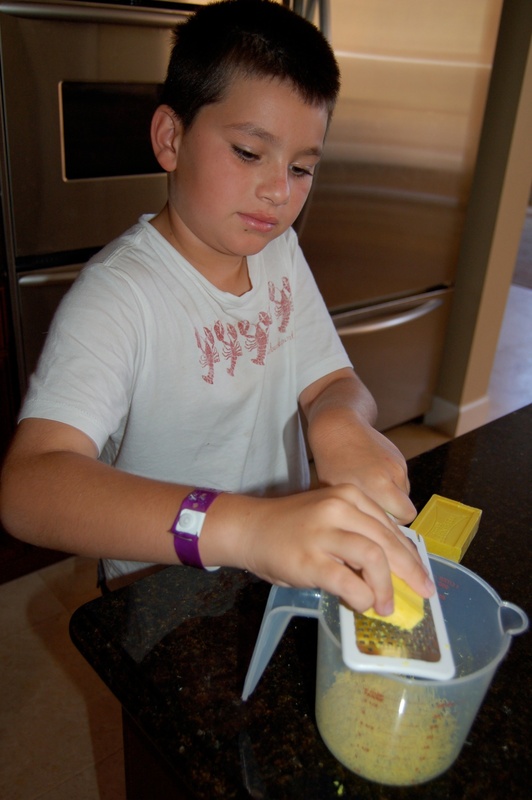 Then add the Borax and washing soda. 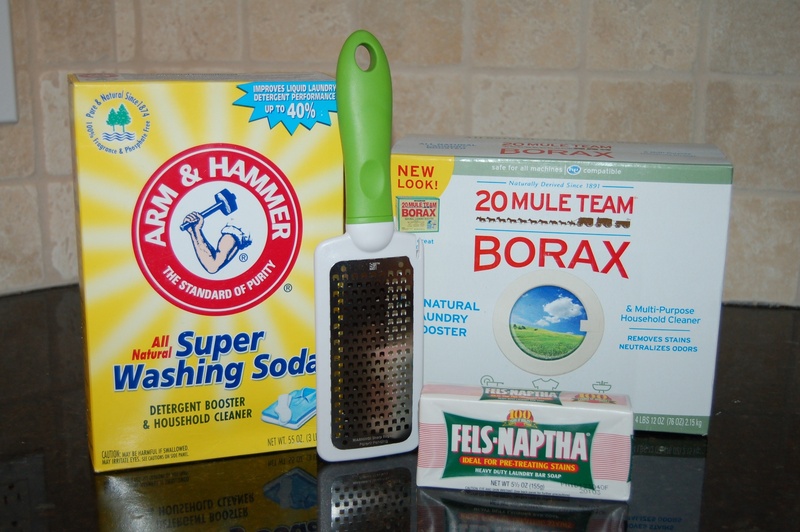 Both the Borax and washing soda tend to harden in their boxes making it difficult to scoop out. To avoid this, I pour each into gallon size freezer bags that I can pound with my measuring spoon when I want to scoop some. This tip makes measuring the powders much easier. Make sure all is combined before removing from heat. Pour the mixture into a bucket along with the rest of the 2 gallons of water and let cool. I usually let it sit over night. You will have to stir the mixture before each use or pour into your old laundry detergent containers and just give it a good shake before using. The best way to describe the consistency of the soap is that it is like egg drop soup. Since your homemade laundry soap does not contain any chemicals to make the mixture congeal you will have this consistency. I keep mine in a bucket with a lid next to the washer, and I keep a plastic mixing cup in the bucket. You only need 1/2 cup per load. Your 2 gallon mixture will make about 64 loads. Both my grocery store and Walmart carry all the items needed to make the laundry soap. Let me know if you too are a homemade laundry soap convert! Boy, does that sound obnoxious! But I do love to do our laundry. I find it therapeutic. Odd, I know. I typically do two loads of laundry a day. And I refrain myself because I could do more. I usually throw a load in first thing in the morning and will have 2 loads washed by 8am. And I hang most all of our laundry to dry. I quit using the dryer for every load about 6 years ago. It started because I didn’t want to put jeans in the dryer because who needs tighter denim? Little else makes you feel fatter than a tight pair of jeans. And then I purchase some nice pants that I did not want worn down in the dryer. That was followed by some nice shirts. And then ……. do you see the progression here? It was all working so well that I figured I could save some money on our electric bill if I harnessed an alternative energy source. You see, I live in Florida, a.k.a. The Sunshine State, a few items on hangers, a drying rack and a dollar store package of wooden clothes pins do the job. 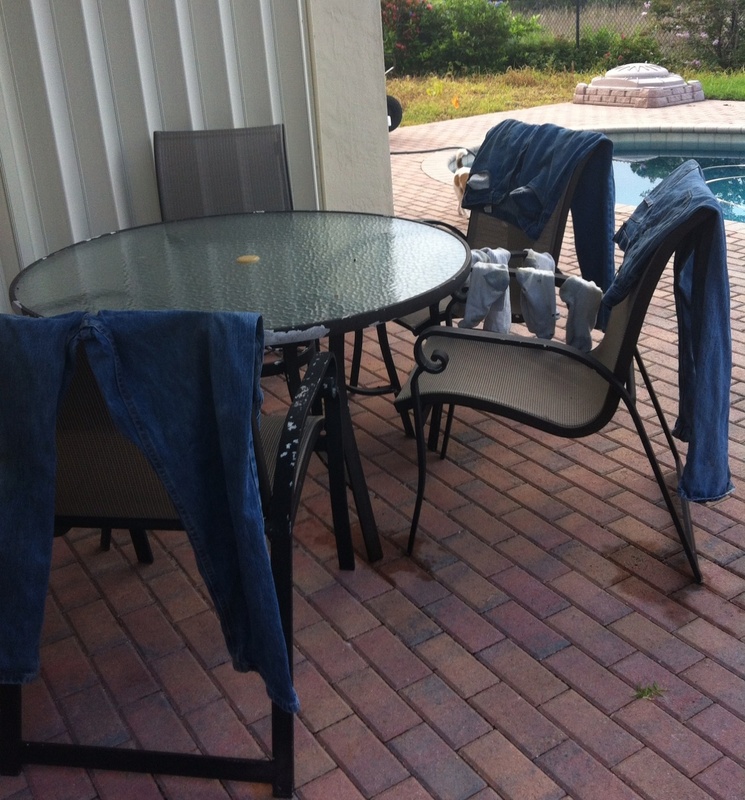 I do not have a line in my backyard, but I do place pants on the chairs on our deck. This all works marvelously! On a hot day it all dries within a couple of hours. 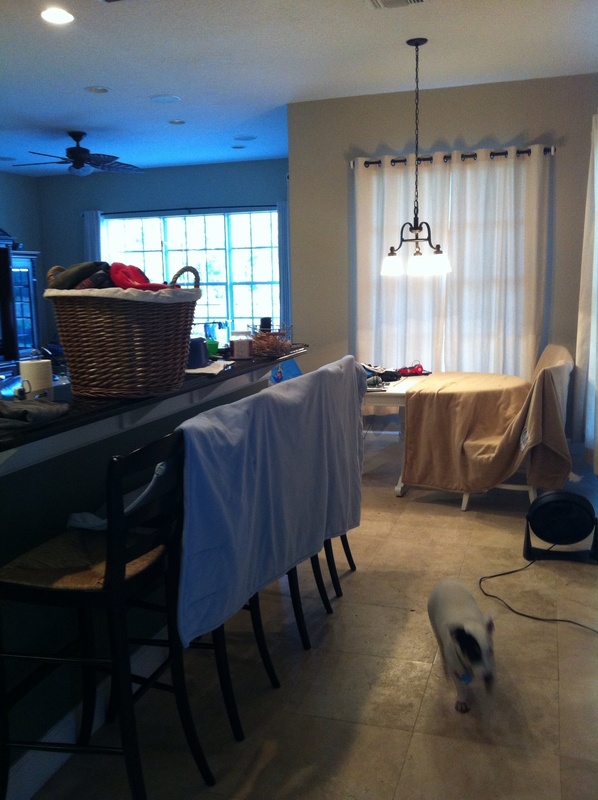 If I do laundry later in the day or if it is rainy, I place the items in our family room and between the ceiling fan and the a/c it works for me. In six years I have only had to rewash laundry twice because it got rained on. The beauty of hanging your items up to dry is that you do not get as many wrinkles, your shirts are already hung and ready to get put away, and everything else folds up quickly instead of a big hot chewed-up mess coming out of the dryer. I love doing laundry so much that I have even resorted to making my own detergent and finding alternatives to commercial stain removers! I’ll save both of those for another post. Ahhhh – I think I’ll go do some more laundry! How about you? Any other laundry lovers out there? Or does everyone else loath the task? I would love to hear from you. Yes, that is what I have been up to – Missing in Action. There has been plenty of action, which has kept me super busy, and I haven’t posted. 😦 I wish I could say it has been an exciting absence, but, no, it has been the busyness of life that has kept me from posting. It’s not that I haven’t wanted to. Oh well, such is life. Here is a picture of my pumpkin and me! 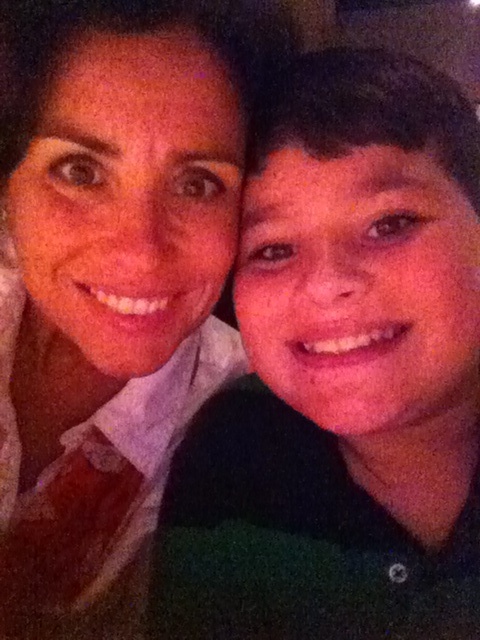 Not the best quality photo, we snapped it at church this past weekend. Preheat the oven to 350 degrees. Cook the pasta as per box directions. Mix the beaten eggs with the ricotta cheese and all the seasonings. I did not add any extra salt to my recipe, because I figured there was enough salt in the rest of the ingredients. 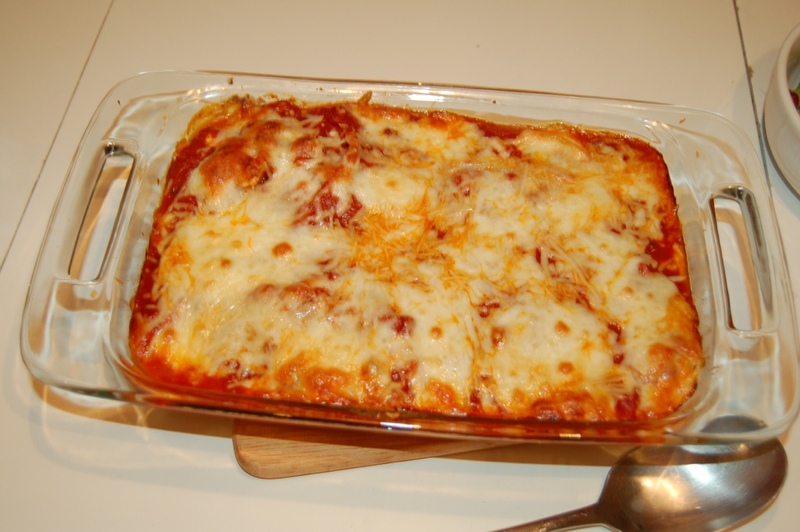 Stuff the cooked shells with the cheese mixture and arrange in a 9×13 inch oven safe dish. Pour desired amount of sauce over the stuffed shells. 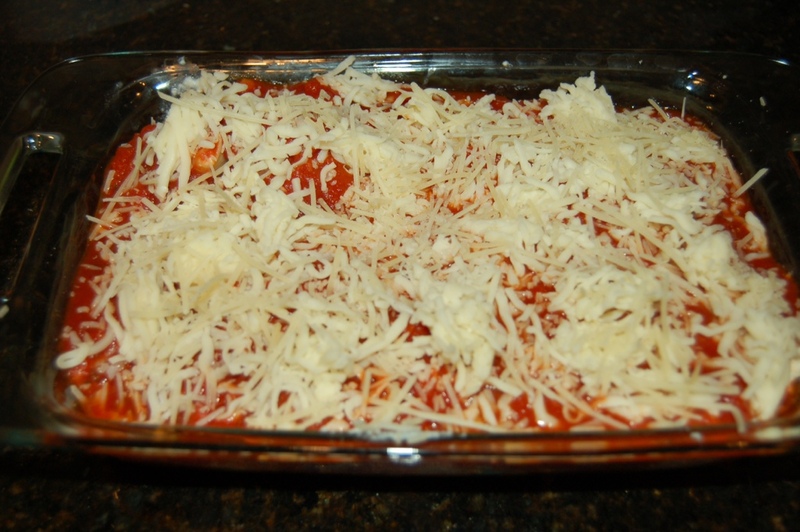 Sprinkle Mozzarella and Parmesan cheeses over top and place in preheated oven for about 35 minutes. Remember to let the dish cool for about 10 minutes before serving so that it does not fall apart on you as you try to serve it. I served the stuffed shells with a salad and garlic bread. It was delicious! We have gone to the dogs. Yes, we have. When I was a child we had a German Shepherd who lived in the back yard. She was a great dog. Dogs inside the house just was not something I was use to. Now my husband’s family, they had dogs. Though, he said they were mostly outside dogs, also. Our son kept asking for a dog, as most children do. After resisting for several years I told my husband that I had some specifics regarding the possible pet: no inside dog, no little dog and no yappy dog. 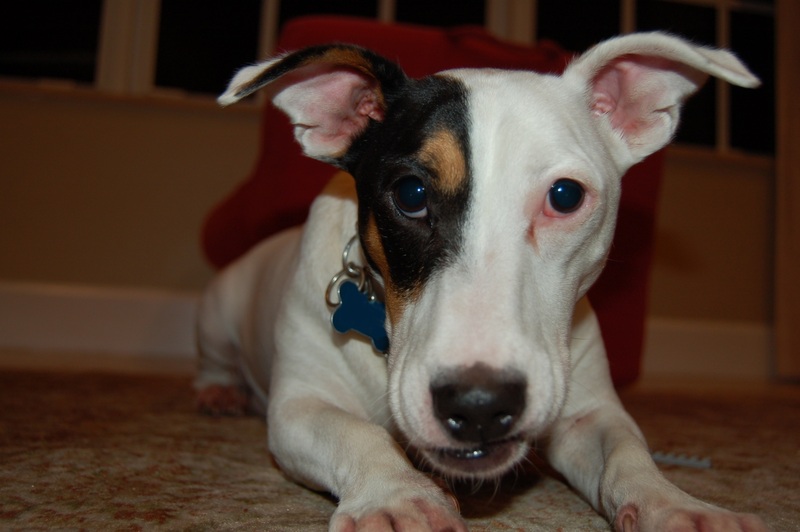 So in 2010 a friend of ours needed to get rid of her Jack Russell Terrier. His pictures where so cute that we ran over and picked up this little (well that adjective is questionable), inside dog that yaps. Funny how the things we say no to seem to come in to laugh in our faces. He was 1 1/2 at the time. Our son renamed him Jack Jack, a tribute to The Incredibles movie he had just finished rewatching. And well the love affair began. Who knew this cute overweight short haired dog sheds, or had skin issues, or anxiety. But after dealing with the hair and spending big bucks at the vet to get the skin issue under control, we won’t talk about the anxiety, this dog is quite the loyal 4 legged child. He is so loving – to us. He is very smart and seems to be a great judge of character. He loves our son and will go lay next to him in bed in the mornings until our son wakes up. 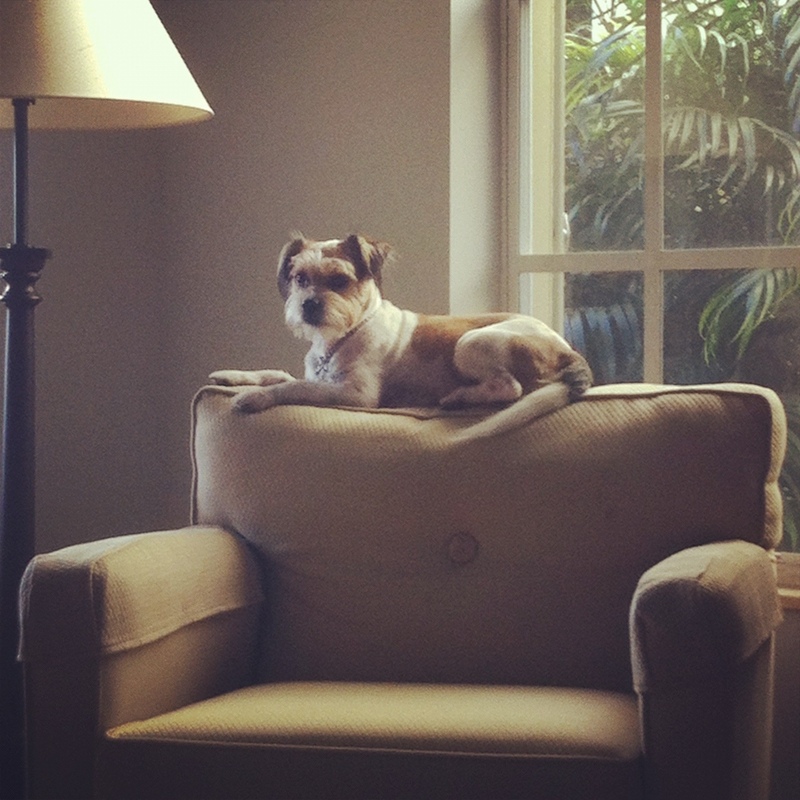 Our second 4 legged child came to us in a much funnier way. You see we go to the fair every year. And every year the county animal care and control office has a booth with animals that need a home. Do you see where this is going? Well, instead of coming home with a stuffed animal from the fair we brought home a real animal. A 6 month old (we think) Jack Russell Beagle Mix our son named Dash (as in The Incredibles oldest son, Dash). Little did we know at the time, Dash is very fast! As in careful he “Dashed” out the door when you opened it. 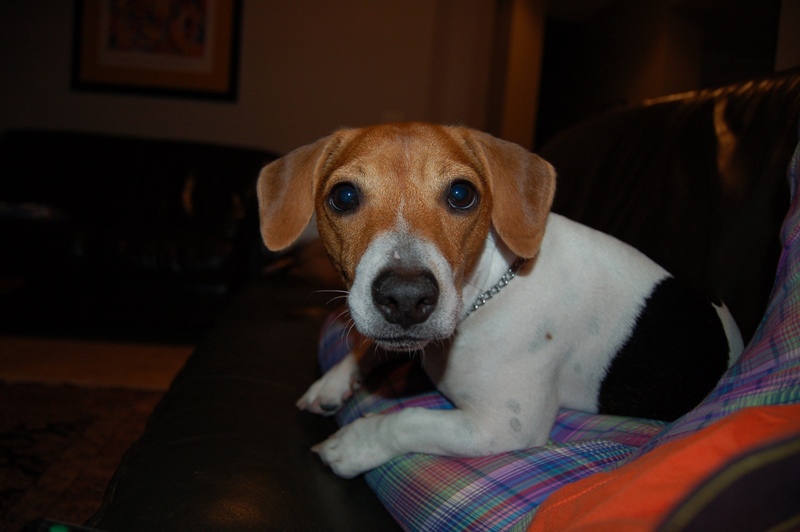 Dash is a funny little dog that loves the swimming pool, loves tug a war and howls like a Beagle. Just when we thought we were done, we went shopping for pet food, and the store had a cute dog wearing a harness that read “Adopt Me.” So we did. We needed a “Violet,” the third child – a girl- from The Incredibles movie, but this dog was a boy. A 2 year old Norfolk Terrier with teddy bear eyes that we named Rigby. He is active and sweet. He likes to follow me around and lay in warm laps. 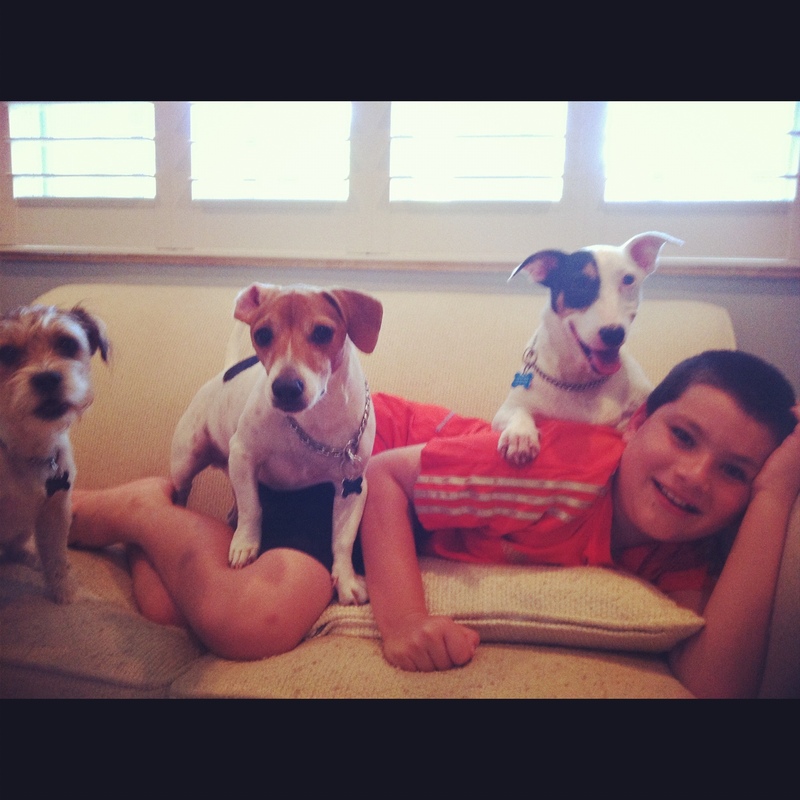 These 3 children are much loved members of our family. And hence we have gone to the dogs!